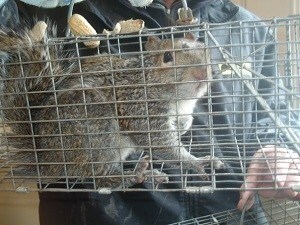 Most homeowners are happy to leave well-enough alone when it comes to outdoor squirrels. They think that as long as the squirrels stay in the yard, they should be left alone. While this is true, too many squirrels constitute an infestation, which can cause serious damage to your home and yard. Squirrel control is a must, particularly if you live in a suburban or rural area where they are common. 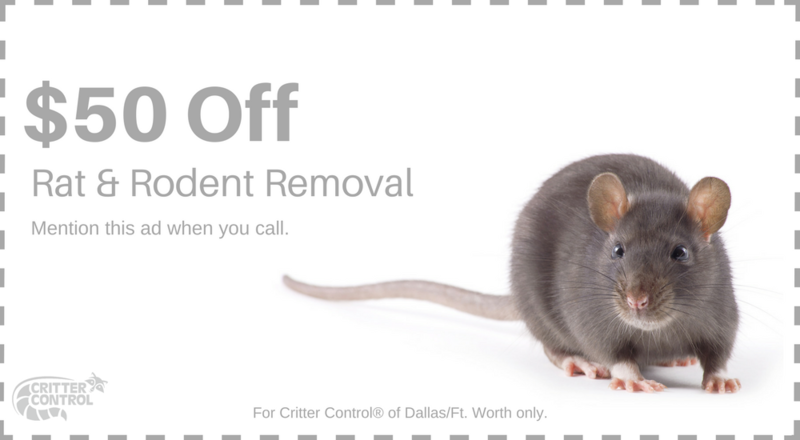 At Critter Control of Ft. Worth, we serve not only the greater city but also thousands of suburban and rural clients. We are here to educate you about squirrel control. Most people believe the best way to deal with a pest is to kill it on sight. This may rid you of a few animals for a short while, but it is not a long-term solution, especially when it comes to squirrels. While not as fertile as other rodents, squirrels have two distinct breeding seasons. If they are not controlled right away, squirrels and their families may constantly seek out your home as a nesting place. Check all trees and branches within jumping distance of your house. For any tree that fits this criteria, fasten a two-foot band of sheet metal around the trunks, 6 to 8 feet above the ground. Caulk and seal all entry holes; Critter Control can help. Seal the openings where utility cables and pipes enter your home. Inspect your attic interior regularly. Look for light shining through open spaces, which can indicate a squirrel entry point. Inspect your home’s exterior for rot and other weaknesses. Trim all tree limbs so the nearest perch is 6 to 8 feet from your house. If you notice or suspect a squirrel control problem, call or contact Critter Control immediately. We’ll determine if you have an infestation, remove the squirrels for you, and help clean up your attic or any other area that’s been invaded.